Mentioning summer in Japan means mentioning fireworks festivals. From the end of July all through August, huge fireworks displays are held throughout the country. If you're traveling in Japan this summer, make sure you attend one of these festivals—here's a brief rundown of what to expect! Festival schedules can be found through sources such as special-event information magazines, websites (if you read Japanese, Walkerplus has got you covered pretty much everywhere), and local print newspapers. 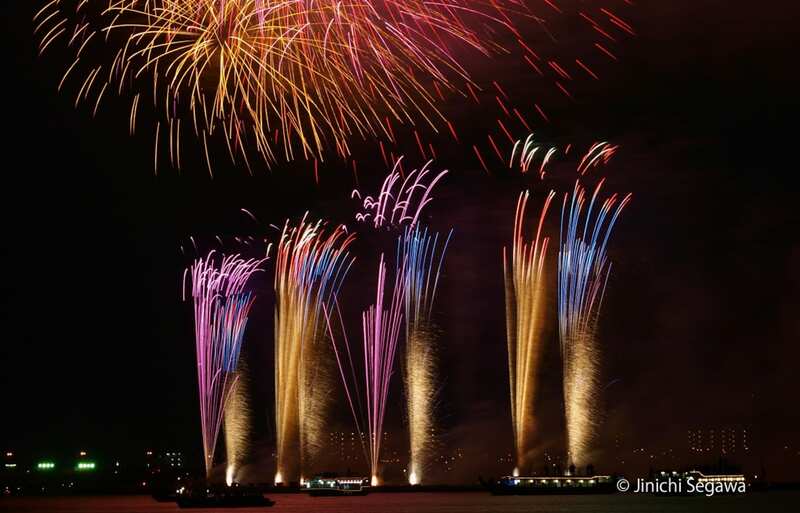 In large cities, like the Tokyo metropolitan area, there are firework shows held at multiple venues on the same day, so be sure to confirm the event date and location. 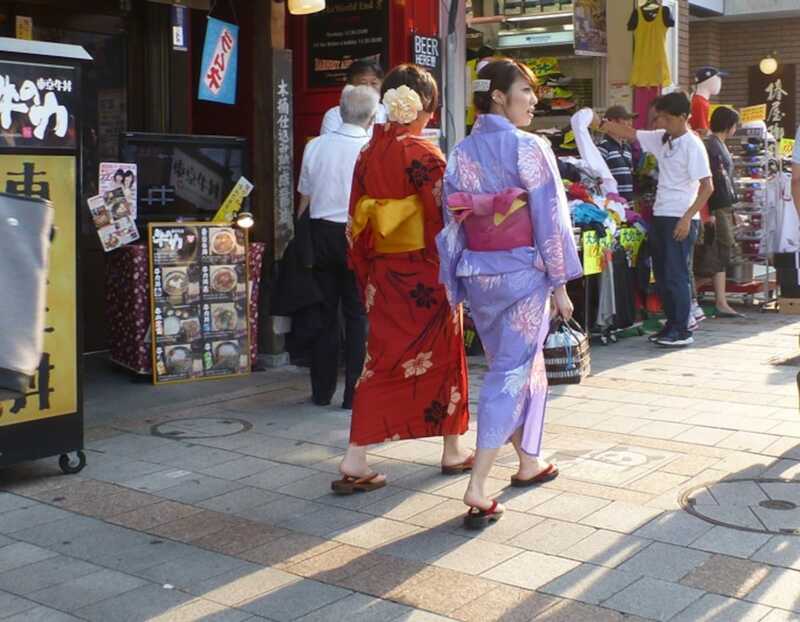 Part of the summertime fireworks experience is to go out wearing traditional clothing, such as yukata (a casual, lightweight kimono) or jinbei (a loosely woven matching top and shorts set). These can be purchased in department stores or resale shops, or even rented from some locations. There's a likely chance that people will arrive at the venue early to scope out a good place to sit. If you want to watch the fireworks from a comfortable, obstruction-free position, plan to arrive at the venue at least two hours before start time. Be sure to plan for extra time to stop at a convenience or grocery store en route; food and drinks are more reasonably priced if you purchase them beforehand rather than at the festival. Also, it's common to bring a tarp (called a "blue sheet" in Japanese) or blanket to not only sit on but also secure your spot. You can buy a cheap blue sheets at most ¥100 shops. The time before the fireworks are set off is also a fun moment; many people spend the waiting period chatting and relaxing once they've secured their viewing spots. As the sun sets and the air starts to cool down, it's nice to have a cold beverage and a Japanese-style lunch box (bento). It's the perfect time to people-watch and soak up the jovial atmosphere. All About's photography guide is a professional photographer who also offers seminars, with tips on techniques from scenery to product shots all over Japan. He studied at the University of Wisconsin and the Minneapolis College of Art and Design. His work in All About Japan focuses on Japanese traditional and pop culture, as well as photography. Meet a Giant Panda at Kobe Oji Zoo!